As we begin our 11th year of covering Black Friday here on GottaDeal.com, we are in a better position than almost anyone to offer predictions for this year’s sales, trends and deals. Over the last decade, we’ve seen Black Friday become a major cultural phenomenon. When we first started the site, most people had no idea what the term Black Friday was. Things have definitely changed, and we've been there for all of it. Our years of expertise combined with the valuable opinions of our visitors who have been offering their Black Friday opinions over the years allows us to offer a glimpse into what should be the most popular deals and the hottest items of the year. We’ll also give you some detailed price predictions based on our research as well as some general holiday shopping predictions. Last year saw the trend of stores opening earlier than ever continue. More stores than ever opened on Thanksgiving night, much to the disappointment of some shoppers who feel their Thanksgiving has been stolen. The reports from retailers continued to be positive as the increased shopping hours allowed them to offset any potential decrease in sales caused by the economy still being sluggish. We expect these early opening times to continue this year, as do our visitors. While we won’t see a steady stream of leaked Black Friday ads until the end of October at the earliest, we are predicting that while retailers will try to boost sales with their Black Friday ads, the actual deals will likely be very similar to last year. As has happened in the last couple of years, while there will be a handful of very hot deals, we expect the deals overall to lack that "wow" factor that Black Friday sales had 7 to 10 years ago. While there were some nice deals last year, many stores failed to truly get consumers excited. Another trend that should continue is the extension of Black Friday from one day into a prolonged period of sales. Again this year there were several major national retailers that had "Black Friday" and "Cyber Monday" sales earlier this year during the spring and summer months. These sales were not even close to the regular Black Friday sales in terms of the level of deals, but the trend of using the term "Black Friday" for sales that aren't specifically on November 27th and 28th this year will likely continue as retailers pull out all the stops to get people in the stores and buying online. We expect the best deals, specifically those available online, to happen in the 3 day period of Wednesday through Friday. This year Black Friday falls on the second-latest possible date, November 28th. This will give retailers a shorter than average period between Black Friday and Christmas, the most important stretch of the year for them, which should mean more deals after Black Friday as well. After Black Friday weekend, there are only 3 more shopping weekends until Christmas, so you bet that retailers will ramp up the deals during this time and for once we may actually see Black Friday-level deals throughout December. We also predict that stores will once again heavily embrace social networking this year as a part of their strategy for the holiday season. Look for exclusive deals and contests to appear on stores’ Facebook pages and Twitter accounts. We expect several stores to give sneak peeks of their Black Friday ad via these means as well, although we may beat them to it and have their ad already posted here on GottaDeal.com if all goes according to plan. Is November 10th The Big Day? Last year, many of the major retailers including Walmart, Best Buy, Target and Kohl's decided to release their ads almost three weeks before Black Friday. They all did so within a crazy 24 hour period. If they go with this strategy again this year, circle November 10th on your calendar as it could be the big day for major Black Friday ad leaks this year. We’ll start with what is likely going to be the hottest item once again this year – tablets. While the Apple iPad continues to dominate the market, there are several key challengers this year. There are rumors that Google will be releasing a new Nexus 9 tablet at some point in the next couple of months. Amazon has also refreshed their lineup of Kindle Fire HD and HDX tablets, including a low-price $99 offering. Many are predicting that Apple will release updated iPad tablets at some point before Black Friday, possibly as soon as next week. Should that happen, you can add it to the list of most-wanted tablets. Last year saw the just-released iPad Air available for around $100 less than MSRP (or with a free $100 gift card) so don't be surprised if the new iPad models are in this year's ads at a very attractive price. If Apple continues to make the existing generation as well, those should be available at considerable discounts on Black Friday. Cheaper Android tablets should again dominate the Black Friday ads this year because of their low prices. Expect many tablets in the $39 to $49 range, usually 7” or 8” models with 8GB of storage space. Step up to a 10” Android model with 16GB storage for around $99. Look for great deals on higher-end Android tablets from manufacturers such as Asus, Toshiba, Samsung and others. These were some of last year's underrated Black Friday deals. eReaders will also be very popular this year. Amazon recently introduced new high-end Kindle Voyage e-readers to go along with their highly-rated Paperwhite models. These, as well as the original Kindle and other e-readers will appear in many Black Friday ads this year. Expect price cuts on older generation models as well as retailers hope to clear old stock before the end of the year. You may also see refurbished models of these tablets in Black Friday ads this year. HDTVs have been popular Black Friday items for many years now, but shoppers still crave even more deals so we expect that this holiday season will be another big year as prices have continued to drop slightly since last year. While 3D HDTVs will also be cheaper, they haven't caught on with the majority of consumers and it's debatable if they ever will. New this year, we can expect to see several models of Ultra HD models, as well as a curved screen model or two, to appear in Black Friday ads. Don't expect huge discounts, although we wouldn't be surprised to see one of the big retailers offer a great price on a lesser-brand 4K display such as the models from Seiki. With HDTVs, quality can vary greatly from the cheaper to the more expensive units. In many cases, the lowest-priced models on Black Friday are stripped-down models lacking some of the “bells and whistles” of the higher priced versions. That doesn't necessarily mean that these deals aren't great, just be aware of what you are buying and have realistic expectations for the performance you'll get out of it. Based on our research and the opinions of our visitors, we expect to see one of the most common Black Friday HDTV sizes, a 42" LCD model, to appear for as low as $249 this year. During the last few months on GottaDeal.com, we've consistently posted deals for 42" HDTVs for as low as $299, so it's completely realistic to expect deals in Black Friday ads for under $250 on a lower-quality model. While Black Friday is a great time to buy the loss-leader, lower-end HDTVs, if you are looking for a deal on a higher quality, name-brand HDTV, the best time to buy is typically in early to mid-December as retailers tend to ramp up the deals to get those last minute sales before the holidays. And even if you miss those deals, the pre-Super Bowl TV deals are also very attractive every year. The Xbox One and PlayStation 4 were released around a year ago so we should see some Black Friday deals on those systems this year, likely as part of a special holiday bundle as they've done with the previous generation systems. If you are looking for the system by itself, we predict that you should be able to score one for $50 to $100 off the MSRP. We're expecting huge discounts on the current generation of systems: the Playstation 3 and Xbox 360. Expect bundles with several games for much less than they sold for this time last year. Expect deals on Nintendo Wii U systems as games. This underrated system hasn't had the sales Nintendo had hoped for despite offering some amazing exclusive games, so look for low prices on the system to entice gamers on Black Friday this year. One of the hottest Black Friday ad items traditionally has been the ultra-cheap laptop. The recent surge in popularity of tablets has somewhat taken sales away from traditional laptops, but the bargain-basement laptop is still the quintessential Black Friday deal in many of our visitors’ eyes. Desktop computers, while still popular, have become almost disposable because of price drops and the fact that it doesn't take much in terms of features to handle what 99% of the general public uses a desktop for in their daily lives. If you are considering purchasing a laptop on Black Friday this year, we can't stress enough how important it is to decide what features you need and what you will be using the computer for. There will be cheap laptops, but if they don't fit your needs, as good of a deal they may seem on the surface, you will end up disappointed soon after you purchase it. Questions to consider: what size screen do you need? Is weight an important factor? What about battery life? Do you need to be able to burn DVDs on the laptop? Some parts of the laptop (such as RAM memory) can usually (but not always) be upgraded later on, but other components such as screen size, battery life and processor are usually permanent. The "classic" Black Friday laptop the last few years has had a 15.6" widescreen LCD display, a dual-core processor, 4GB of memory, 500GB hard drive and DVD burner. Laptops like these have been available all year long from retailers such as Best Buy, Dell and Staples for as low as $199. Therefore we predict we'll see this level of laptop in Black Friday ads for around $149 this year. Models with upgraded components should also be very good deals this year. Back-to-school sales were down and that factor, combined with lower prices for the individual components should lead to great bargains this year. Look for a model with an Intel Core i5 processor, 6GB of RAM and a Blu-ray drive for around $349, possibly as low as $299. Desktop computers will continue to sell, however we're reaching the point of diminishing returns as any budget desktop bought last Black Friday will be just as good as most advertised this year. For 99% of daily tasks (internet, e-mail, homework, office work), it doesn't take more than a low-end desktop to handle these tasks. This year we expect a low-level desktop (Core i3 processor, 4GB of RAM, 500GB hard drive, DVD burner) bundled with a 19" or 20" LCD monitor to be possibly as low as $199. Upgrade to a faster quad-core processor, more RAM, bigger hard drive and a 24" monitor for $100 to $150 more. The recently announced iPhone 6 and 6 Plus smartphones will be at the top of many shoppers’ lists this year. We are not expecting any huge deals for this model this year because of Apple’s MAP policies, but you might be able to save $50-100 with a new contract. We may however see discounts on older iPhone models such as the 5S which is still being made. Deals on Android and Windows smartphones should be plentiful as they were last year. You should be able to get nearly any current Android smartphone, even the high end models such as the Samsung Galaxy S5, LG G3 or Moto X very cheap ($99 or less), if not free with a new 2-year contract on Black Friday. GPS navigation systems were big sellers on Black Friday several years ago, but since then, as most consumers interested in them have bought one, they aren't in demand like they used to be. Prices have continued to drop as new models have been released with incremental feature upgrades such as updated maps, traffic and weather capability and improved, larger displays. Being able to upgrade maps inexpensively has meant that many consumers have not needed to buy new units. We've posted deals all year long on GottaDeal.com for GPS systems well below $100 and therefore we expect to see a budget GPS system with 4.3" LCD display for $29 to $39 this year on Black Friday, and more name-brand, feature-loaded models from the manufacturers just mentioned for around $69. Larger models with 5" displays and lifetime traffic and maps service should be around $79 this year. Your best bet is to look for a model with lifetime traffic and map updates as you wont need to pay every few years to get the latest maps. A 4.3” model with these features could be had this year for as low as $59. Blu-ray continues to be the standard HD format for movies, and therefore we expect some nice deals on Blu-ray players and movies on Black Friday. We fully expect Blu-ray players to appear in Black Friday ads for as low as $29, a price point echoed by several of our visitors. While extremely cheap DVD movies have always been a staple of Black Friday, Blu-ray movies are now joining the party. Expect to see very cheap prices on both Blu-ray movies and TV season box sets, always one of the most popular items in the ads each year. iPods and other MP3 players are always a hot seller on Black Friday because they make great gifts. In most cases, retailers cannot advertise iPods at prices lower than the standard MSRP, so expect to see promotions such as free accessories, free iTunes cards or free store gift cards with the purchase of these players this year. While a few years ago digital cameras were a huge Black Friday item, these days nearly everyone has one and so it takes more than just a cheap price to get people to make a purchase. As one of the most popular online deal sites, we believe digital camera deals are usually better during the year than they are on Black Friday. While going through the ads each year, we always notice cameras on "sale" for prices much more than they can be ordered online. So if you are considering a digital camera, we suggest you follow our online deals instead of relying on Black Friday for the best deals. With more consumers looking to purchase higher-end digital cameras, expect the deals for these “pro-sumer” models to be better this year. Many of our visitors predicted that some of the hottest items this year will be toys. Last year a very popular item was the various tablets designed for kids. We expect that to continue this year with new models of these tablets designed for children. We can't stress enough that to get the best deals on Black Friday or any other day of the year, you have to check online first. 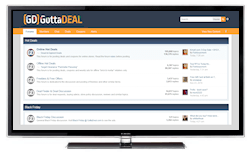 At GottaDeal.com we post hundreds of new online deals each week and our forum members post even more every day on the message boards. 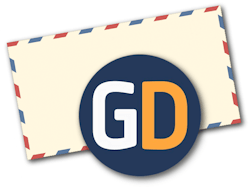 On Black Friday @ GottaDeal.com, we'll have a continuously updated list of Black Friday ad items that can be purchased online at Black Friday ad prices. Look for this list in mid-November. We urge our visitors to order as many ad items as possible online before leaving the house. It'll save you time, hassle and space in your trunk. We do expect online retailers to continue to offer amazing deals this quarter as well as they compete with the brick and mortar retailers. Expect big sales and online-only coupons from retailers such as Amazon.com, Kohls.com, BestBuy.com, Walmart.com, Dell.com and many, many others. 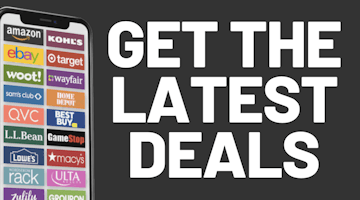 And to keep track of these deals, just bookmark our home page at GottaDeal.com where we'll keep you updated on the latest deals throughout the day, every day of the year.